This wonderful piece is brought to you straight from Italy. 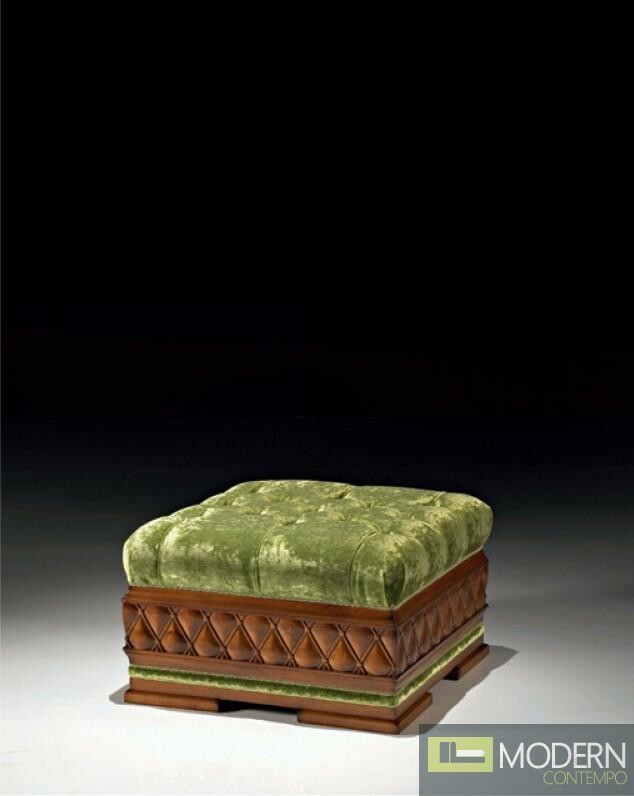 The ottoman is made of sturdy hardwood and given intricate detailing. The seat is upholstered in dark green fabric and boasts high density foam cushioning.